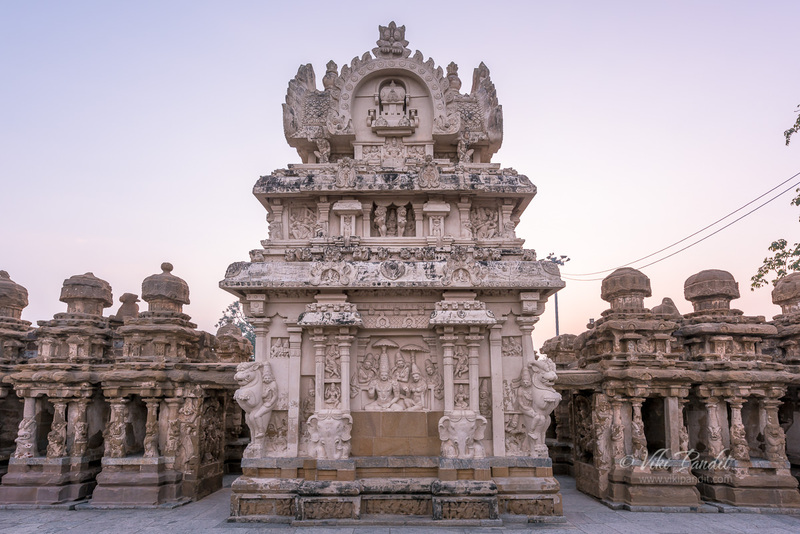 Kovil is the Tamil term for a distinct style of Hindu temple with Dravidian architecture. 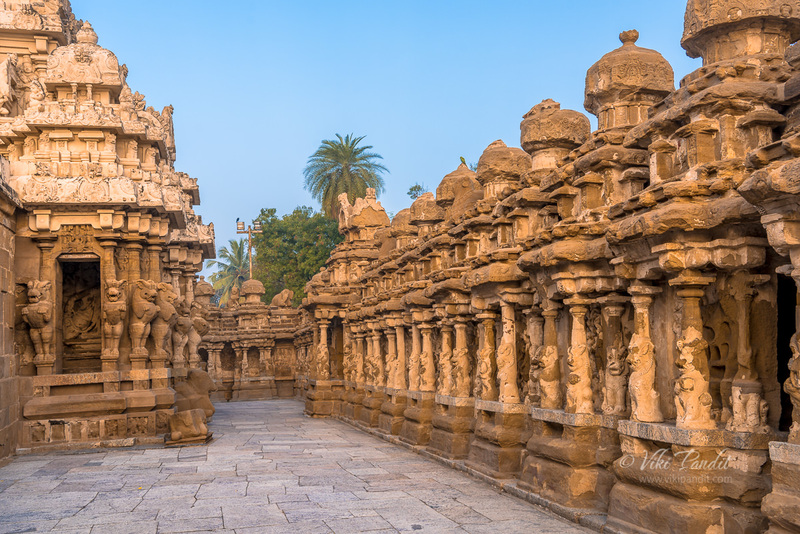 Today I explore an 8th century sandstone temple, hidden away in a corner of the temple city of Kanchipuram, that has seen so much history and still stands today to tell us, heritage hunters, stories that have weathered away in the winds of time. Towards the fag-end of 2017, we were on our way towards Mahabalipuram to spend a few days of leisure on the peaceful beaches along the east coast. Along the way in Kanchipuram, we had planned a detour for a couple of days to explore the city that is said to be home to a thousand temples. We took the NH75 from Bangalore and then followed the NH206 to NH40 and finally into NH48 to Kanchipuram. Most of the route in Karnataka and Tamil Nadu are toll roads and are amazing to drive on. We had made reservations at the Pine Tree hotel. 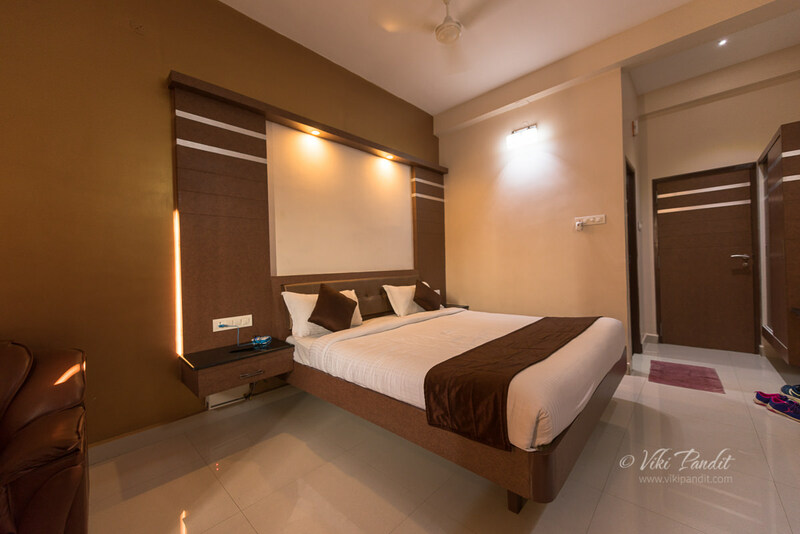 The exteriors of the hotel might appear to be a deal breaker but the interiors were nice and clean. Though it lacks a few amenities like a lift and in-house restaurant, it is still a fair place to put up for a couple of days. 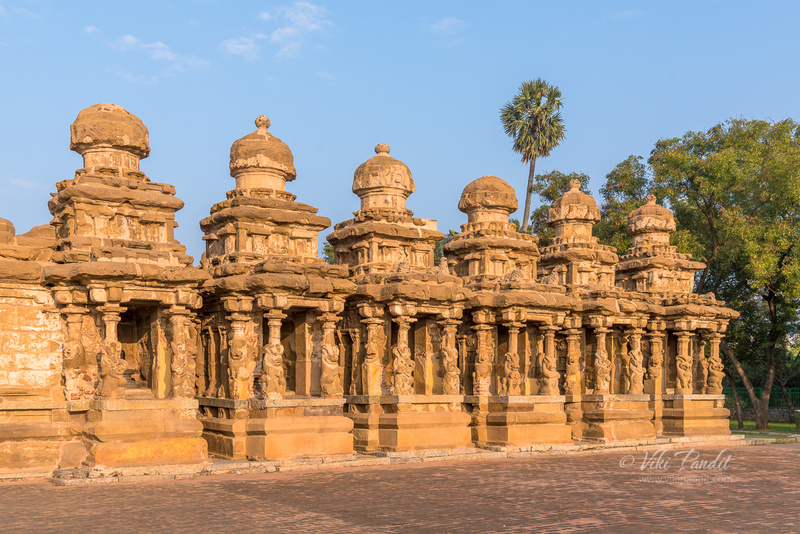 Kanchi or Kanchipuram, is a popular temple city in the Indian state of Tamil Nadu and is overcrowded by religious tourists searching for God in the many temples spread across the city. In olden days when it was also known as Kanjeevaram, it served as the capital city of the Pallava Kingdom. The Pallavas were a powerful dynasty that ruled a huge chunk of southern India, including present day Tamil Nadu, between the 6th and 9th centuries AD. 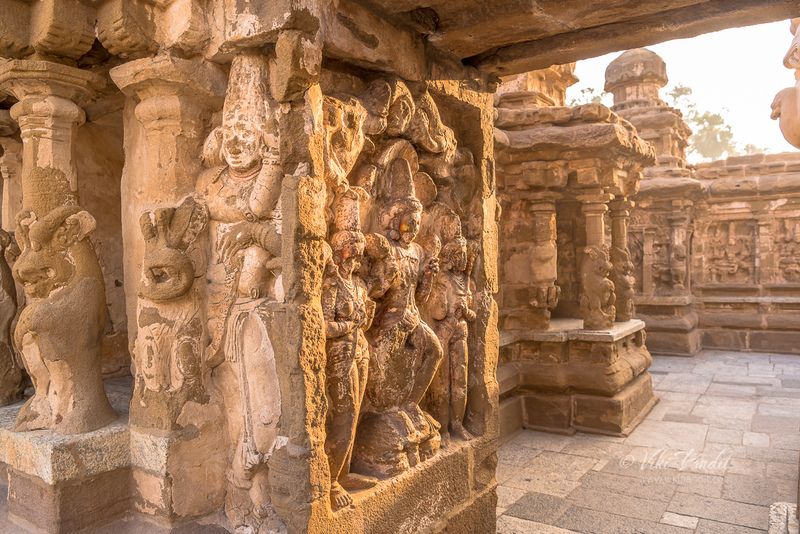 They were passionate about art and architecture, and their reign saw an extensive growth spurt in creation of temples. 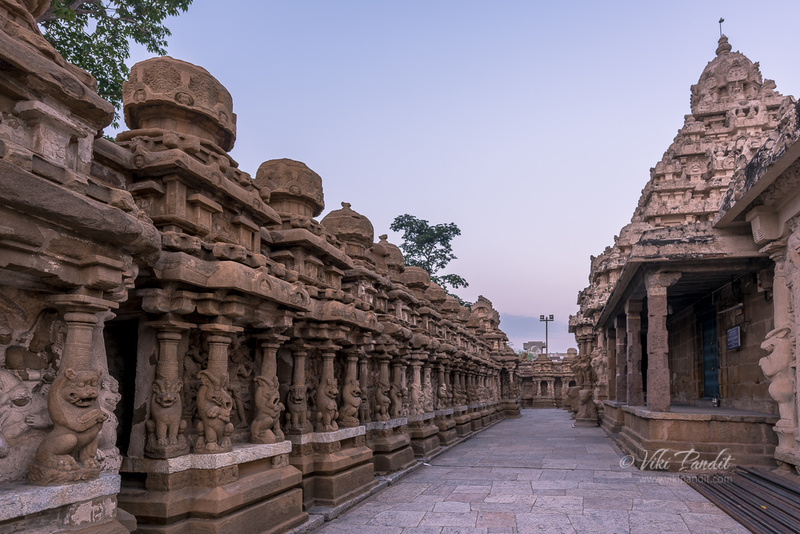 Though Kanchipuram has innumerable temples spread across the city, I was mostly interested in exploring the Kanchi Kailasanathar temple. 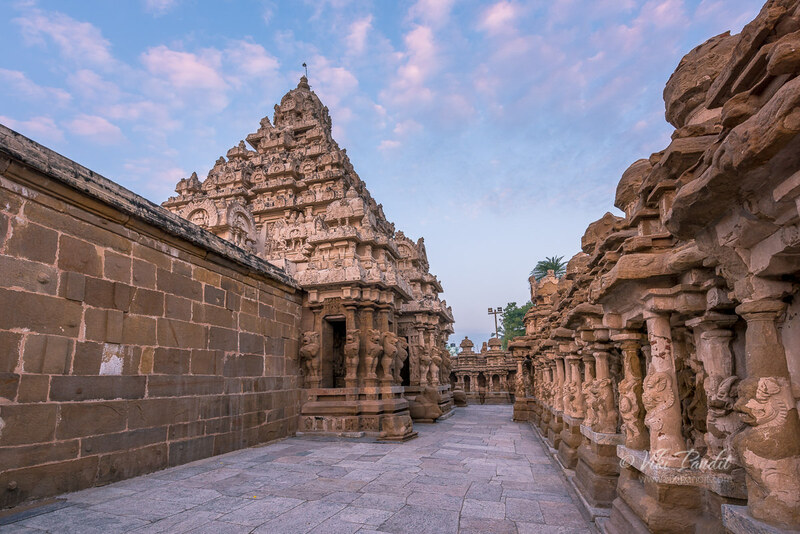 It is the oldest temple in Kanchipuram, located near the banks of the Vegavathi River, at the western limits of the holy city. 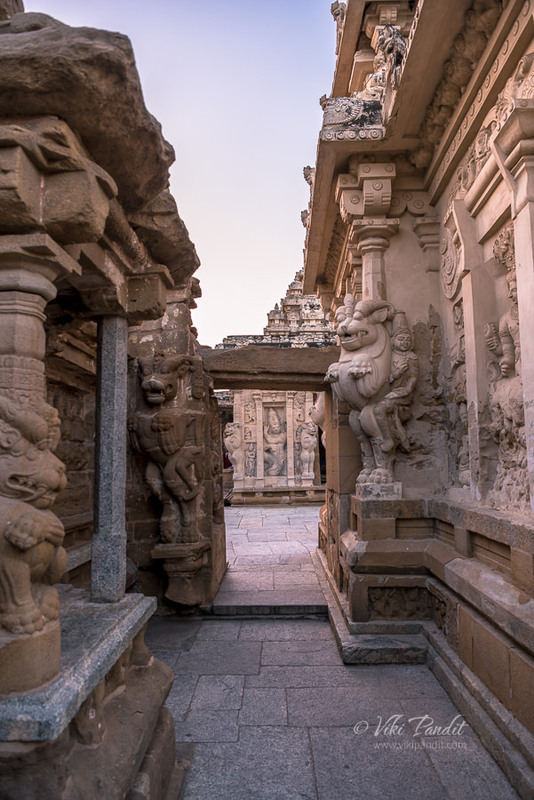 The east facing temple was commissioned between 685-705 AD by Pallava king Rajasimha, better known as Narasimha Varman II. The temple was then named Rajasimha Pallavesvara Graham. After his demise, his son, Mahendra Varman III, added the front facade and the gopuram (tower). 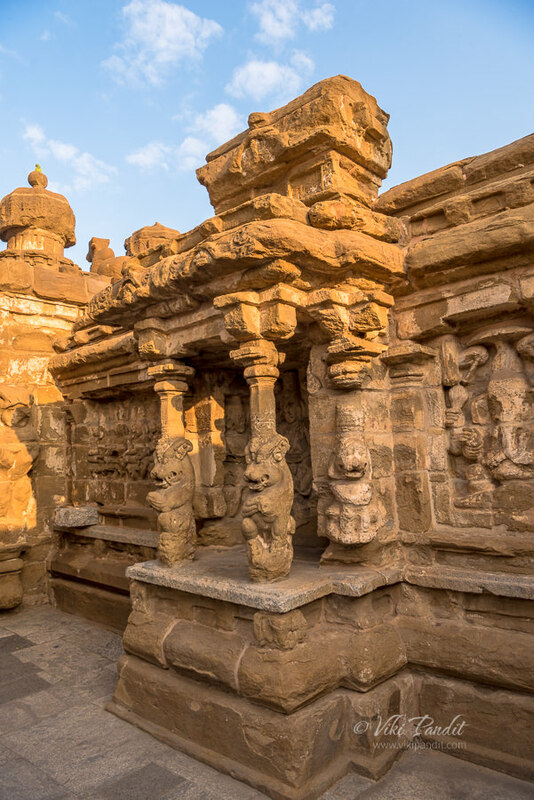 The temple is enclosed within walls in a rectangular layout and the sandstone kovils including many half-lion carvings speaks volumes of architectural beauty that flourished during the reign of the Pallava Kings. I reached the temple complex at 6.30 am. An auto-rickshaw dropped me off in front of the temple. It was still very dark and the gates had not been opened yet. I waited patiently for a few minutes by which time the caretaker presumably noticed me and opened the gates. 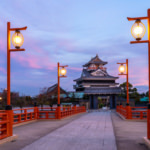 The front of the complex is lined with eight small shrines – two to the left of the doorway, and the rest to its right. I was the first one inside. 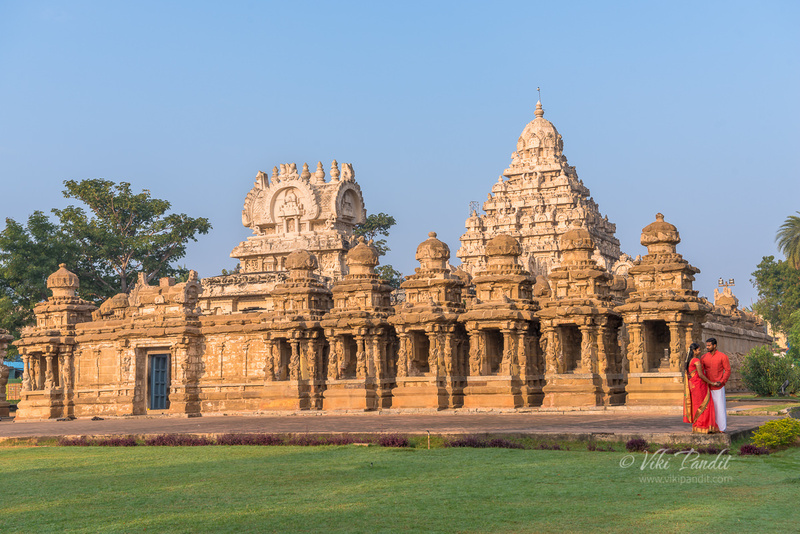 The Kanchi Kailasanathar Temple is dedicated to Shiva, referred to as Kailasanathar in this temple. His consort here is Kanakavalli Thayar. The temple design has been created so as to recreate the environment of Mount Kailasha, the abode of Shiva. Tripods are not allowed inside this ASI maintained heritage sites. Leaving my shoes just outside the entrance, I entered into the holy temple via a narrow passage known as “Sandharaprasada“. The cold granite kissed my naked feet. Years of weather had rendered the granite smooth. The first thing that I encountered was the gopuram above it. This was the addition by Mahendra Varman III that I mentioned earlier. 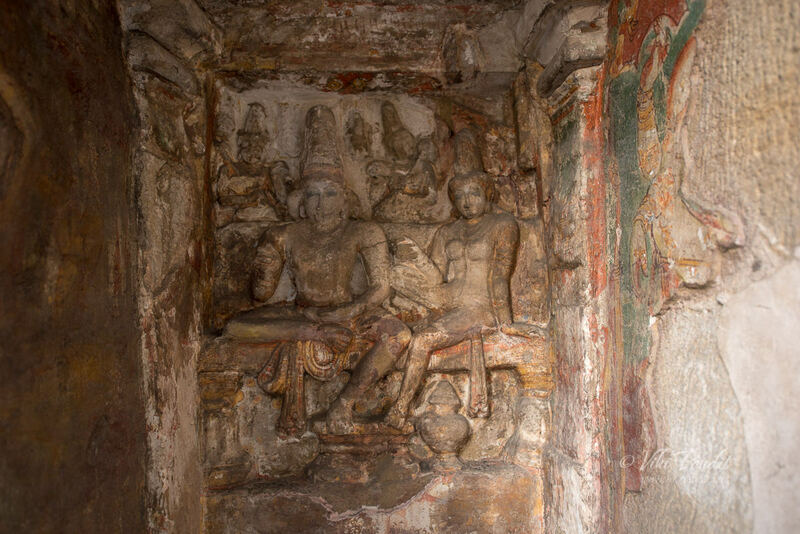 Its walls are adorned with sculptures of several forms of Shiva like Bhikshatana (in which he is a mendicant begging for alms) and Somaskanda (depicted along with his consort Uma and child Kartikeya). Once you get past the gopuram, one finds themselves in front of the main shrine. A circumambulating passage goes round the temple. The main temple has a simple layout with a tower or sikhara at the center of the complex. 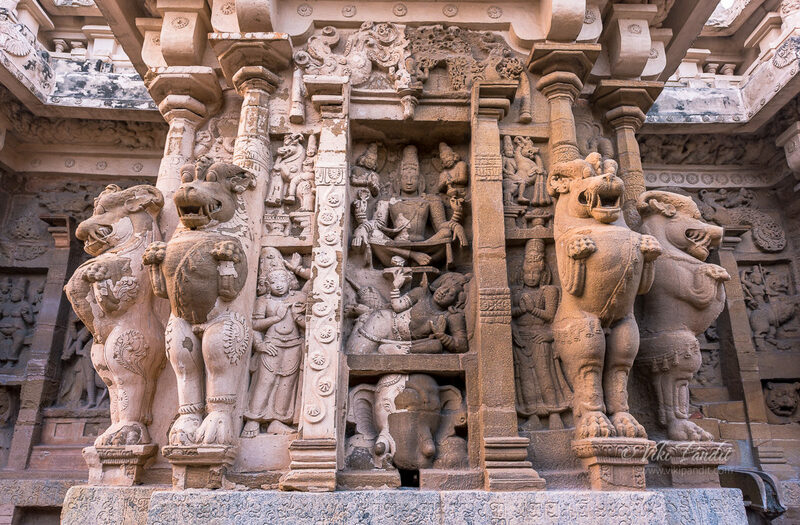 The foundations are made of granite, while the upper floors including the carvings are all made of sandstone. 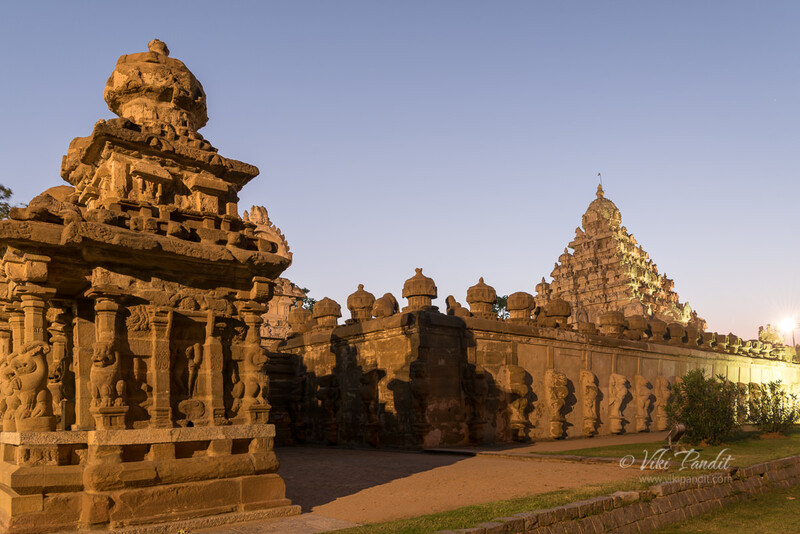 The main shrine is built in a pyramidal format, which is typical of Dravidian architecture as we will see more of at the Shore Temple in Mahabalipuram. 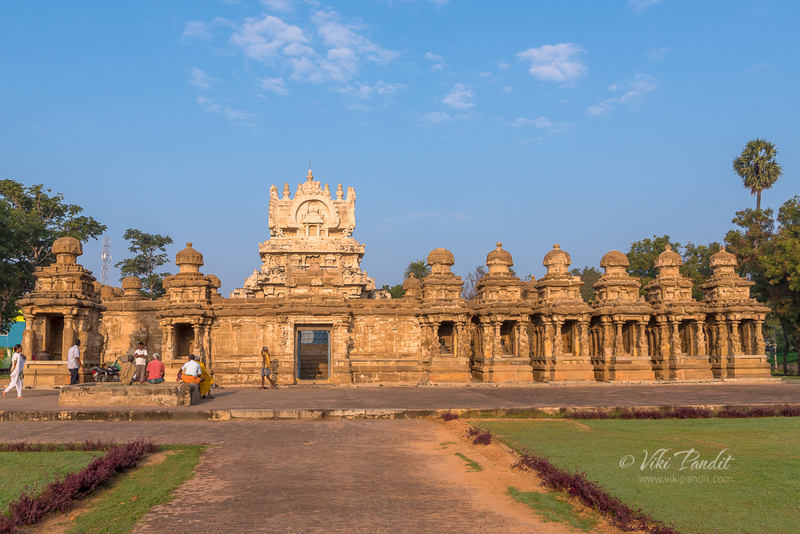 Devoid of people, early mornings at the Kailasanathar Temple are incredibly serene. The caretaker went about his business and I was alone with the disintegrating blocks of sandstone, that have quietly watched history unfolding for centuries. The silence only interrupted by the rare worshiper, making rounds of the temple, chanting shlokas (religious chants). 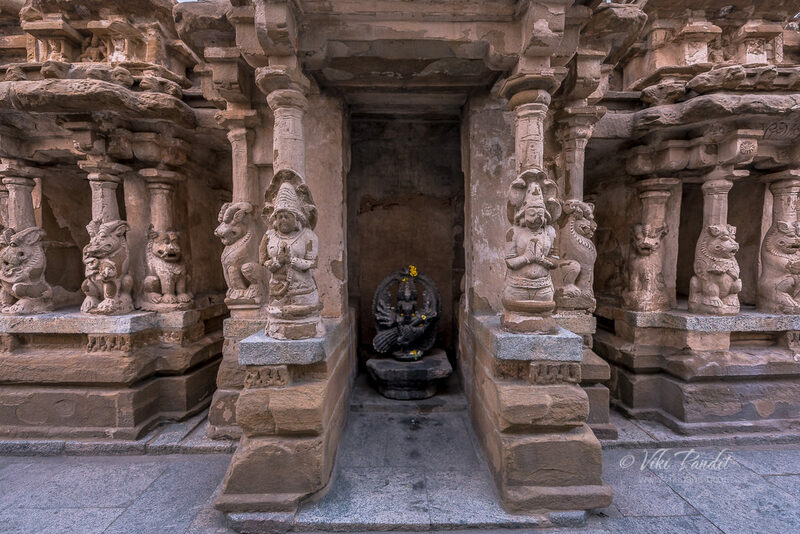 Inside the main temple the deity is a majestic Shivalinga in black granite. The gates to the garbagriha (sanctum sanctorum) weren’t open yet. They open much later during scheduled prayer hours. So if you are into offering prayers, you should come at around 9 am. The mandapa is surrounded by a high compound wall adorned with pillars with carvings of lions. Each of the 58 devakulikas (mini-shrines) that run round the main temple have a different lion protecting it. They have frescoes that portrayed scenes from the Sivalila and sculptures of Uma Mahesvara, Parvati, Ganapati and Kartikeya, among others. Each of these mini shrines have a stupa on the top. The builders placed huge sandstone blocks one on top of the other and then chiselled them into shape. Lion pillars were a Pallava specialty, and in this temple, they seem to have chosen to go all out with the lions. 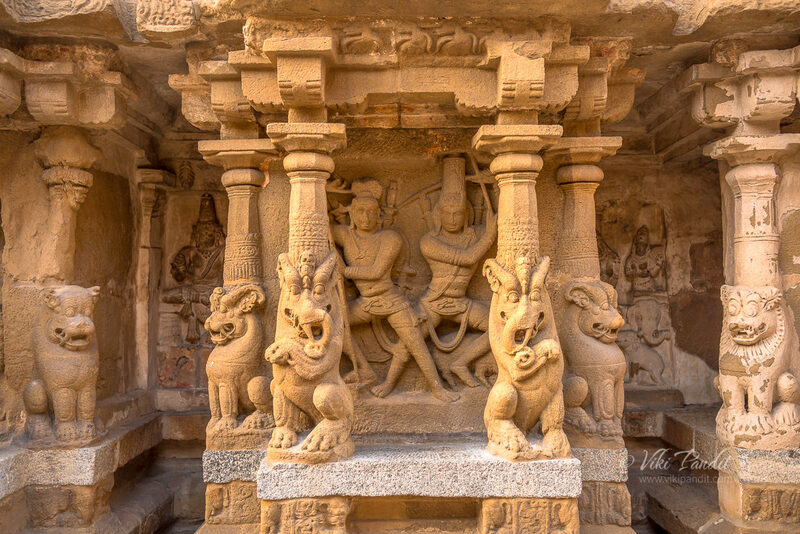 One can say this is the richest of all Pallava shrines in terms of figural decoration. The light was much improved by this time, with the Sun showing itself towards the front of the temple. As I went around taking pictures of these crumbling beauties a family of parrots appeared from nowhere at the roof of the temple. 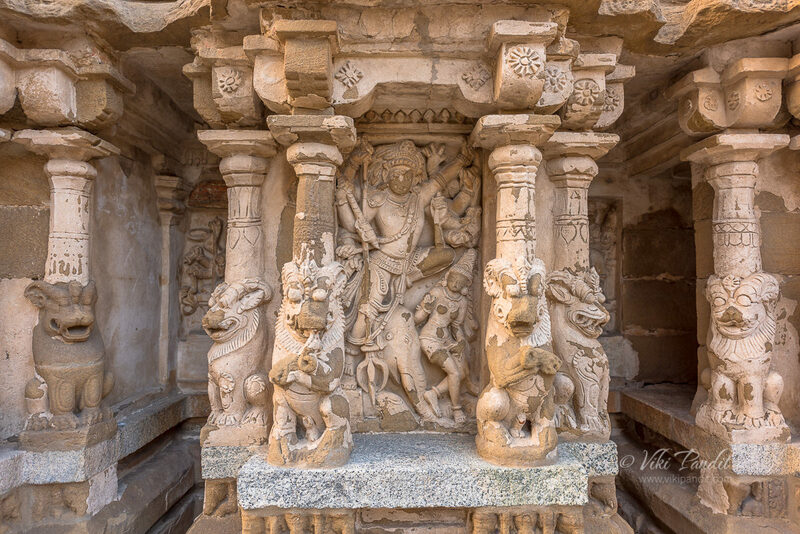 Below is the west side wall of the main mandapa, covered in detailed carvings of Shiva. Towards the back in a mini shrine I found a carving of Shiva and his consort. 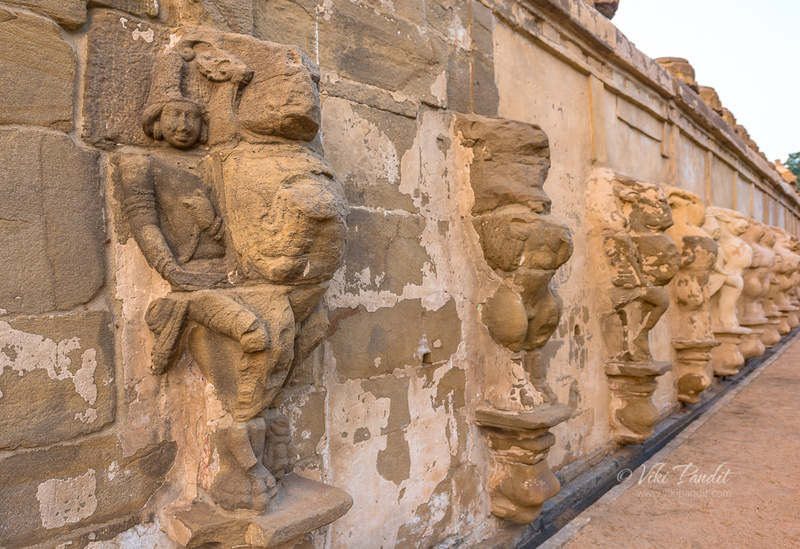 A part of the mural on the side walls still tells the story of what was once a colorful section of the temple. 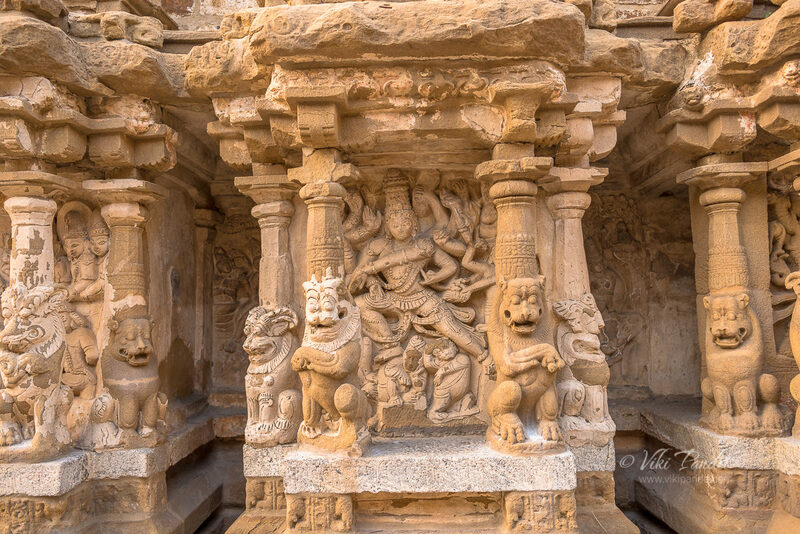 This Somaskanda panel, depicting Shiva and Parvati with Karthikeya sitting on Parvati’s lap, is a repeating feature of the temples built by Rajasimha. It can also be found at the Shore Temple also commissioned by Rajasimha. Passing all the mini shrines, I had walked to the back passage of the compound where lies an idol of Murugan in black granite. 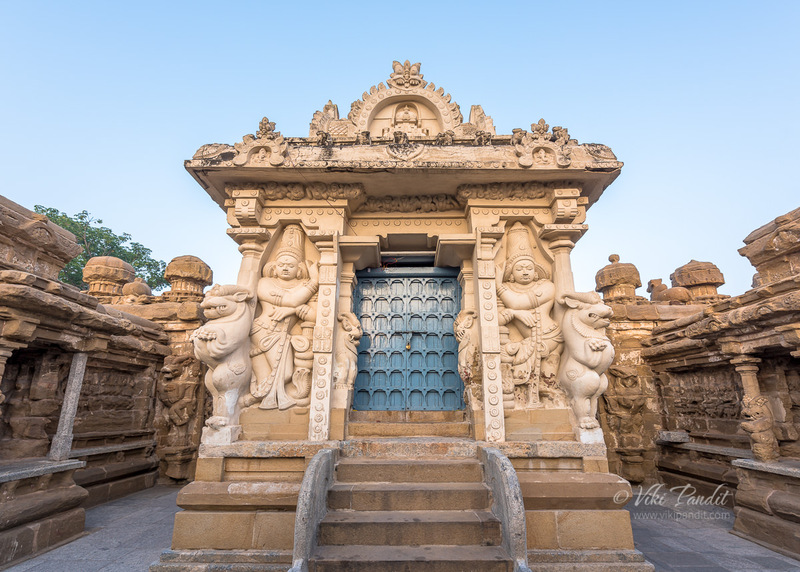 The walls around this shrine are covered with exquisite reliefs depicting Shiva in various forms like Lingodbhava, Urdhava Tandavamurti , and the Tripurantaka. These sculptures of Lord Shiva in 58 postures, presents a picture of the hugeness of Hindu mythology. By the time I completed my pradkshina(walk-around the temple), time the temple was basking in a beautiful golden sunlight. The caretaker at the site told me that this is one of the few temples in Kanchipuram, which was purely a contribution of Pallava kings and which didn’t have any additions by other dynasties such as Cholas and Vijayanagara kings. Sometimes being unpopular is a blessing is disguise, otherwise I wouldn’t be seeing these original carvings as they were created thousands of years ago. I had completed a full circle of the temple and was back at the Sandharaprasada. Circumambulation of temples or deity images is an integral part of Hindu and Buddhist devotional practice (known in Sanskrit pradkshina). The inner sanctum is believed to have positive energy and as the devotees go round the sanctum performing the pradkshina, the positive energy is also believed to be absorbed into them. Once I was done taking shots inside the temple, I walked outside to capture some of the external carvings. The gopuram looked beautiful in the soft light. Compared the the carvings on the inside many of the carvings on the outside walls have deteriorated beyond the point of recognition. Amateur restoration have resulted in white patches over the sandstone rocks. The front shrines are still better but the shivlings are in pitiful condition. It was still early in the day and I believe it is a popular photo-shoot spot for newly wed couples, while the temple is still desolate. With the Sun making its way into the sky, more and more people started coming in. Before leaving, I walked to the far end of the park to capture one of the most detailed Nandi bull I have seen till now. 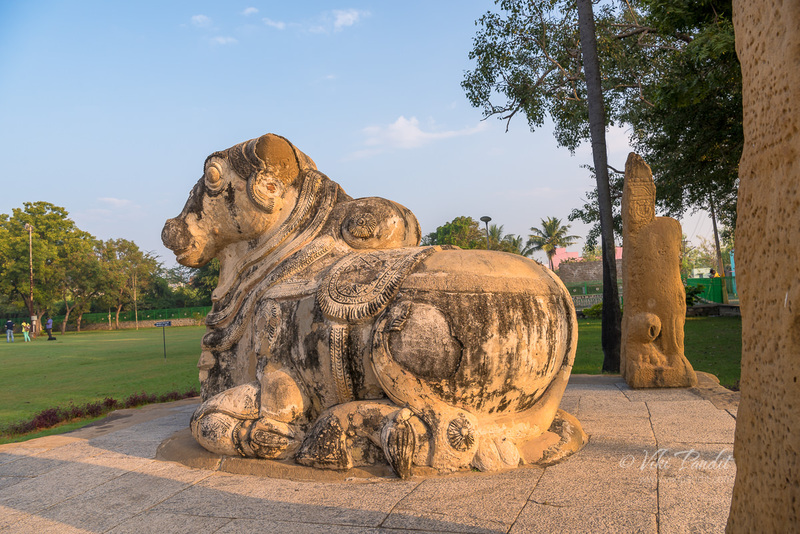 The stone Nandi (bull) sits on a pedestal facing the temple complex, surrounded by four lion pillars. The Sun was shining bright by now and there was a steady stream of people at the complex. 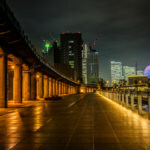 It was time for me to get out. 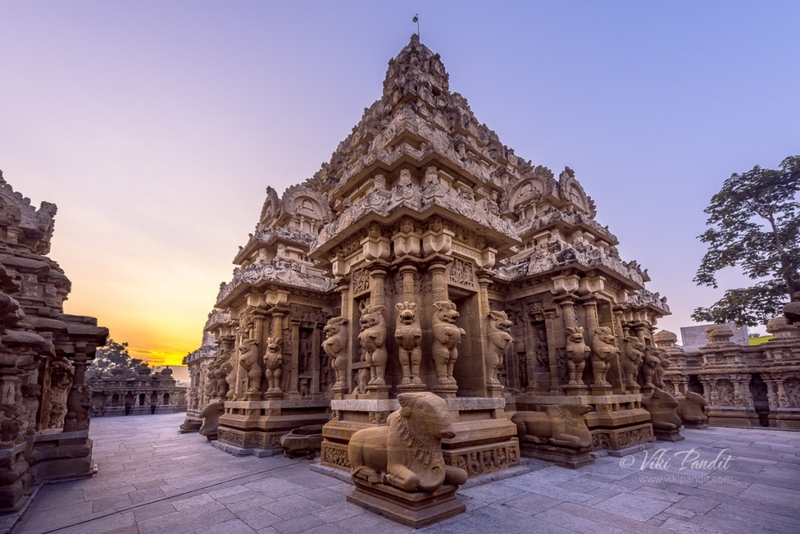 One of the most beautiful temples in Kanchipuram, this temple is regarded more as an architectural wonder rather than as a holy place. In a way it helps to preserve its value. 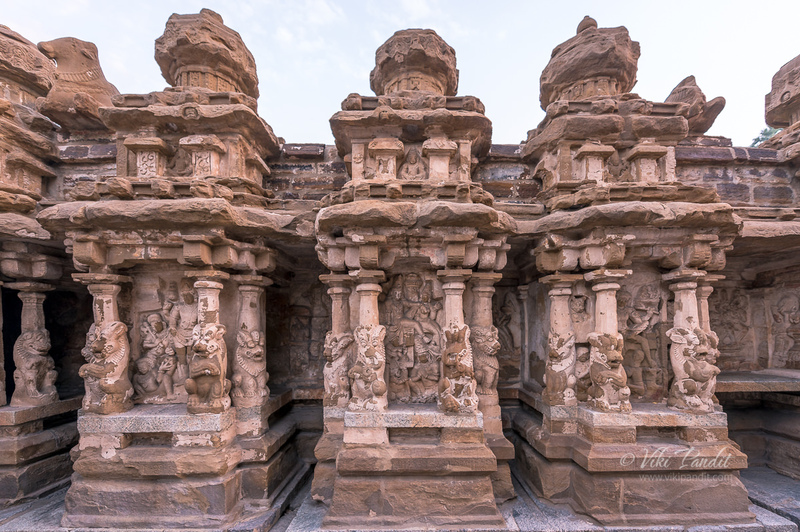 Most of the other popular temples have undergone layers of restoration and the original carvings cannot be seen. The temple is well maintained by the Archaeological Survey of India. 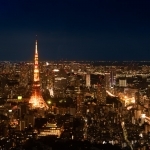 At night, bright lights surround the historical beauty. Thanks for reading. Please leave me a comment if you liked the post or follow my story as I visit the beautiful beaches of Mahabalipuram.